Fool me once, shame on you. Fool me twice ... well, shame on me. On 19 February, over 100 female students from the government girls science technical college in Dapchi, Yobe State, Nigeria, were kidnapped by suspected Boko Haram militants. Aged between 11 and 19, the girls were ferried into the night from their dormitories; beguiled by militants who pretended to be friendlies. While 'conflicting reports' exist as to the actual number of kidnapped girls and their identities, one cannot but be startled by the glaring similarities with another infamous incident. Four years ago, the abduction of 276 girls from the government secondary school in the town of Chibok, Borno State, caused international outrage against Boko Haram and the Nigerian government (for a perceived slow and inadequate response in initiating a rescue). The backlash was fierce, with the hashtag #BringBackOurGirls trending globally on twitter and the movement garnering support from celebrities including Malala Yousafzai and Michelle Obama. Despite the uproar, over 100 of those girls remain missing. Some are believed to have died. And, now this. You'd think with the infamy of the Chibok incident, security forces and stakeholders would be alert to forefend against a recurrence. Or, at the very least, one with such marked analogy. Moreover, the government's handling of the situation has been met with derision and dissatisfaction from some quarters. Originally, the government claimed that no girls were kidnapped. And then, a spokesman for the government of Yobe State (where the kidnapping occurred) wrongly asserted that some of the girls had been rescued, a claim faulted by the parents. All this, including the fact that it took nearly two days for the incident to be reported in local media, amounts to a fiasco of unquantifiable proportions. 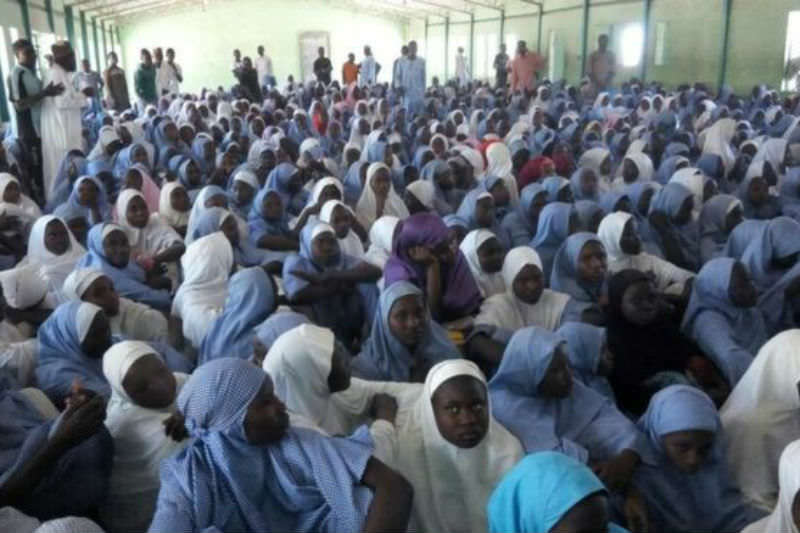 "The militants encountered little resistance and over 900 school girls in the school were left to protect themselves. With the antecedents in Northern Nigeria, this should never have been the case." Alhaji Bashir Manzo, a father to one of the kidnapped girls and the chairman of the newly formed Dapchi abducted schoolgirls parent association articulated his discontent to CNN. You couldn't blame him for being angry. It is particularly disturbing that the militants encountered little resistance and over 900 school girls in the school were left to protect themselves. With the antecedents in Northern Nigeria, this should never have been the case. As a Nigerian, I am irked by these events. Acquiring an education should never be this perilous. These are future leaders, captains of industries, doctors and lawyers whose dreams, hopes and aspirations are at risk of being crushed by men of warped minds and vile ideologies. Every moment they spend in captivity increases the risk to their minds and bodies. Suffice it to say, we must act now! These girls did nothing wrong. Their only 'crime' was that they dared to invest in knowledge. They chose to enrich their minds and become masters of their destinies. And, their dreams are valid. And, as such, the Nigerian Government, stakeholders, security forces and the entire world must, as befitting a matter of utmost significance, move heaven and earth to ensure the return of these girls. We failed the Chibok girls, we must not fail the Dapchi girls. History will not judge us kindly if we do. Precious Marho is a freelance writer and the founder of SuccessCharisma, a community whose goal is to incite a success consciousness in its members. This is extremely urgent. The Nigerian government must act quickly, effectively and decisively. And call on outside help if need be. As the author writes these girls have done nothing wrong. They all must be returned as soon as possible. Shame on us all! I have a feeling of helplessness in the face of these acts - however I do PRAY. A wall of prayer may well overcome this evil. May all these young women be released! Imagine the outcry if 100 American or Australian girls were spirited away in the night! These girls are just as precious as our own daughters and sisters. I dare not imagine what might now be happening to them: but pray to the God of all mercies for their spedy deliverance. May the Holy Spirit stir up the hearts of all who have the authority to act decisively to find and free these girls.